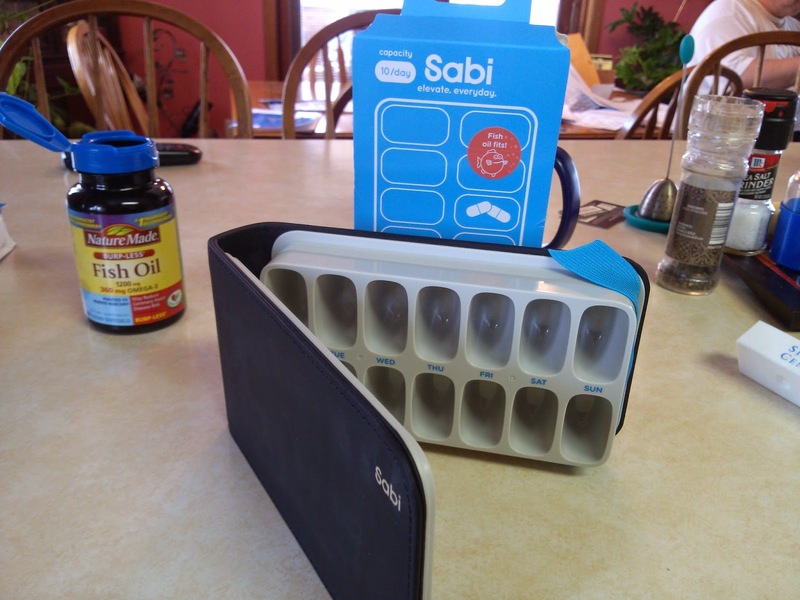 For anyone who takes several supplements, medications, or vitamins, the FOLIO Grande by Sabi is the solution to your pill box problems. It is made with the same design as the Sabi weekly pill box, only larger. The FOLIO Grande is made for twice daily morning and evening medication regimens. It has 14 compartments - two large compartments for each day - and is easy to load with a universal lid. The black, stylish outer of the pill box looks sleek and is secured with a large elastic band. And the rounded compartments make it easy to pull all of the tablets and pills from with your fingers - rather than having to turn your pill box upside down and shaking them (thereby risking dropping pills.) This is a great solution for older people, those with larger fingers, and/or those who take several pills a day - especially large pills like fish oil and vitamins. You can fit all your medications in one place and access them easily. The FOLIO Grande can also travel easily, the pills stay contained in their separate compartment and the elastic band keeps the cover secure. I gave this organizer to my dad for all of his supplements and medicines. It fits all of his pills plus has extra room for more. He says it's easy to use and he can get the pills out with ease, even with his larger hands. If you have lots of pills in your daily regimen, we recommend the FOLIO Grande. 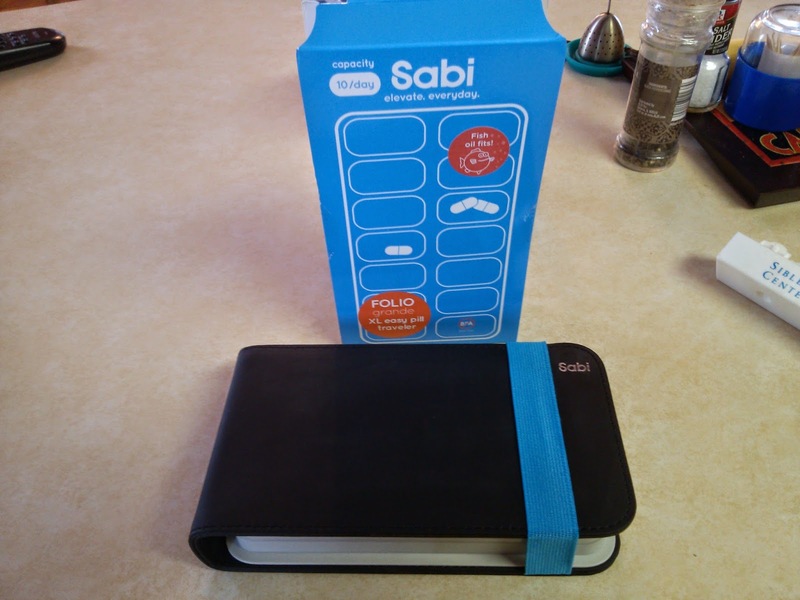 For a lesser amount of daily pills, go with the traditional FOLIO by Sabi, which is the same design but smaller.